Artificial intelligence seems like the perfect solution, but Zikria Syed writes in MedCityNews that “clinical trial technologies haven’t changed much since the current categories — clinical trial management systems, electronic data capture, and interactive voice response, — were established in the late 1990s.” A recent Deloitte study also that tells us “a number of clinical trial activities still use the same processes as in the 1990s.” In a sector that is usually at the forefront of technology – biotechnology – it is hard to believe this is happening. I spoke to six innovators who were tackling the massive problem head on – scientists and entrepreneurs working to bring clinical trials to the people who need them – to find out what they are doing to solve the serious innovation problem. The list of people is impressive for the diversity of solutions they’re offering to clinical trials: Anna Huyghues-Despointes, Head of Strategy, Owkin; Simon Smith, Chief Growth Officer, BenchSci; Leila Pirhaji, Founder & CEO, ReviveMed; Shai Shen-Orr, Founder, Cytoreason; and Daniel Jamieson, CEO Biorelate and Gunjan Bhardwaj, Founder & CEO, Innoplexus. 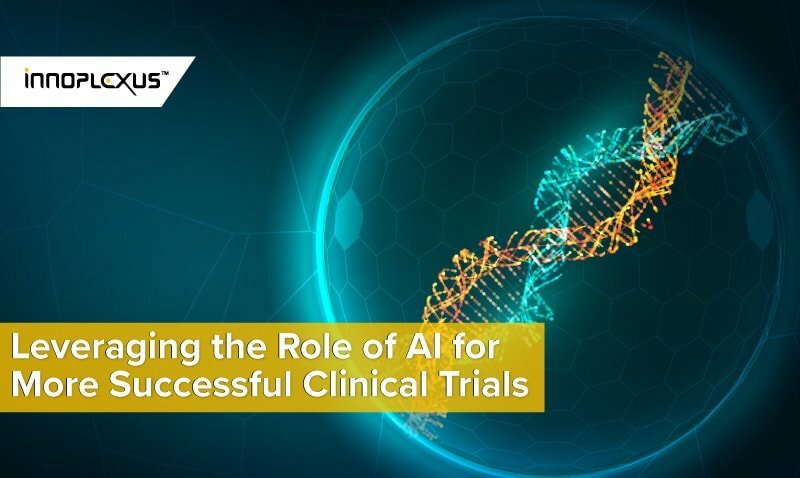 Additionally we spoke to consultant Dr. Chrysanthi Ainali, Co-Founder Dignosis and Instructor for the KNect365 Learning Course AI & Real World Evidence for Clinical Trials to ask her thoughts on the specific challenges AI startups in clinical trials face. Another company shaking things up is ReviveMed. Their innovative idea to focus on metabolites is set to revolutionize how physicians will be treating disease in the not so distant future. CEO and Founder Leila Pirhaji gives us a crash course on metabolomics: “At ReviveMed we are using AI for drug discovery, by uniquely leveraging data from metabolites, which are small molecules in the human body. There are thousands of diseases with no treatments and thousands of existing drugs that may be potential treatments for those diseases that could save millions of lives. In the last decade, AI platforms have developed to solve this problem using genomic data, but genomic data alone is not enough. DNA and RNA are really far from what we observe in disease symptoms. DNA will transcribe to RNA then RNA will translate to proteins. These proteins then interact with thousands of metabolites in the human body. Metabolites are small molecules like glucose, cholesterol…. The interactions between metabolites and proteins lead to what we observe in disease symptoms, they can tell you exactly what happens in a disease. Now at ReviveMed, we are able to use metabolomics to solve this puzzle. Taking chances and doing things that have never been done before is the cornerstone of how many of these startups operate. Simon Smith of Benchsci: “In a nutshell, we’ve used machine learning to create something that never existed before: a way to search through and filter research reagents with equivalent ease and precision to conducting an Amazon product search, despite the fact that—unlike with products on Amazon—key product information comes not from vendors, but the scientific literature. It’s crowdsourced and, thanks to our AI, parsed and reassembled in an intuitive way. Shai Shen-Orr, Founder of Cytoreason echoes the optimism of his peers in this group of scientists and entrepreneurs: “Healthcare constantly provides a rich seam of needs for new approaches to bring value – especially in our niche of drug discovery and development. Productivity in R&D is declining and costs and timelines increasing. Novel approaches that can disrupt this paradigm will always have a chance of success. If you can demonstrate that you can improve target identification and validation, reduce the risk of clinical trials, and help focus on the right indications and patients you have an important story to tell. There is a lot of negative news about digital health startups imploding lately, but ultimately these hardy pathfinders have been paving the way for success for those who come after them. Outside-the-box strategies are being developed in order to succeed in healthcare, as digital tech innovator Paul Yock succinctly characterized the sector: “The ‘move fast and break things’ approach that works in tech doesn’t translate well to healthcare.” Shai Shen-Orr illustrates his unique startup strategy: “We took a long hard look at the market and saw what was going on. 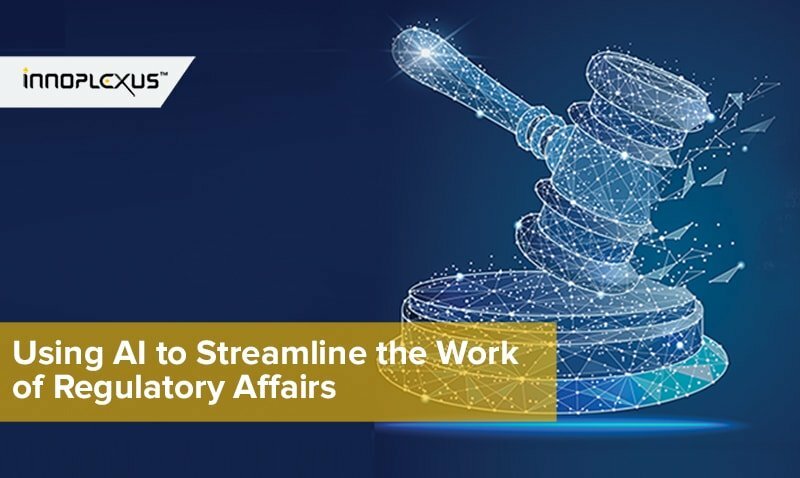 We then made a strategic decision not to engage in activities that lay outside our domain of expertise; activities that take a long time before the success or otherwise of the company becomes apparent. Instead, we focused our time and resources on building our data and the technologies that help create our data – rather than software development and trials. The data we can produce can be validated very rapidly, speeding up significantly our access to the market. This is not an obvious route for a healthcare start-up. The response from the market supports the decision we made. Our technology was licensed out of the Technion, with a large and long-term commercial project. We followed that up with further collaborations with top tier pharma companies – and there are more collaborations in the pipeline. So unlike most start-ups, we have been revenue generating since inception, have not been reliant on venture capital, and have a working productive and validated platform. Benchsci offers the ultimate in cost savings – their tool is free to academic researchers. Simon Smith spells out his product’s benefits: “Researchers struggle to find antibodies. They get frustrated at the inefficiency of finding guidance on purchasing antibodies in the scientific literature. Then they discover BenchSci, and a lightbulb goes off. They immediately get it, then use it, then tell us how much it’s helped them. And don’t take my word for it. Just look on Twitter, Facebook, LinkedIn, or Instagram to see what people say. We don’t have to convince them to use BenchSci. We simply say: we know your pain, we built a solution. And they immediately get it. As with many startups, BenchSci started when our Chief Scientist, Tom Leung, encountered the problem himself. Tom struggled to find the best antibodies for his own experiments. He figured that something like BenchSci should exist. But when he couldn’t find it, he thought that perhaps he could create it. From here, he recruited cofounders to provide the technical ability and business knowledge that complemented his domain expertise. And the rest is history. Or, rather, three years of hard work to get where we are. At BenchSci, we’re laser-focused on a specific, widespread problem that delays biomedical research and makes it more expensive. For non-scientists, I can provide an analogy. Imagine you wanted to bake a cake, but when you went to buy flour, there were 5 million options. And imagine that only a few of these options would work for your specific cake—depending, say, on the other ingredients and type of oven you’re using. If you used the wrong flour, your cake would fail, wasting your time, and all the other ingredients. But, unfortunately, the flour manufacturers can’t tell you which flour would be perfect for you, because every cake is slightly different, and they can’t test their flour by baking every possible permutation. So how would you possibly know which flour to buy? Probably by seeing what other chefs have used for similar cakes. Right? This is the case in biomedical research. There are, for example, more than 5 million commercially available research antibodies that researchers can use to measure the level of proteins in samples. To ensure they buy the right antibody for their specific experiments, they search through the scientific literature, and see what other researchers have used. This process can take days to weeks. Even then, it’s not foolproof. Researchers still need to validate several antibodies to find one that works. Overall, the inefficiency can be hugely wasteful. Up to 50% of antibodies fail in experiments. Research projects can get delayed for months. Sometimes, researchers only find out deep into their research about a flaw with their antibody, negating months of work and investment, and potentially even resulting in the waste of precious tissue or cell samples. Oh, and by the way, antibodies are just one type of ingredient—called a reagent—that researchers use. So multiply this problem by all the reagents. Researchers may use 5 or more per experiment. We use artificial intelligence to decode the world’s biological data to reduce the time, uncertainty, and cost of biomedical research. Currently, this means that we (1) ingest data from open- and closed-access publications, vendors, and other sources; (2) use machine learning to decode and extract relevant information from this data pertaining to research reagents; and (3) make this information easily searchable in a user-friendly platform that provides results in an intuitive way for scientists. Anna Huyghues-Despointes, Head of Strategy, Owkin explains what sets Owkin apart, in a sector where there are already over 100 startups using artificial intelligence in drug discovery: “We have 2 main differentiators our tech stack and our network. We are developing state-of-the-art transfer and federated learning technologies to overcome the data sharing problem, building collective intelligence from distributed data at scale while preserving data privacy and security. We are federating the largest research network, connecting hundreds of institutions worldwide and fostering collaborations at an unprecedented level. Shai-Shen Orr describes his company’s research journey and how it has given them a competitive edge: “We did a piece of work quite early on, in inflammatory bowel disease, which proved the capability of our concept. The search for an elusive blood-based (as opposed to tissue based and therefore not requiring a biopsy) pre-treatment marker for a specific type of therapy, in a major and highly competitive segment, had been going on for years, costing millions of dollars. In just a few weeks, we uncovered both a validated biomarker and a target – in a disease that is impacting millions of people! We clearly had something to build around. 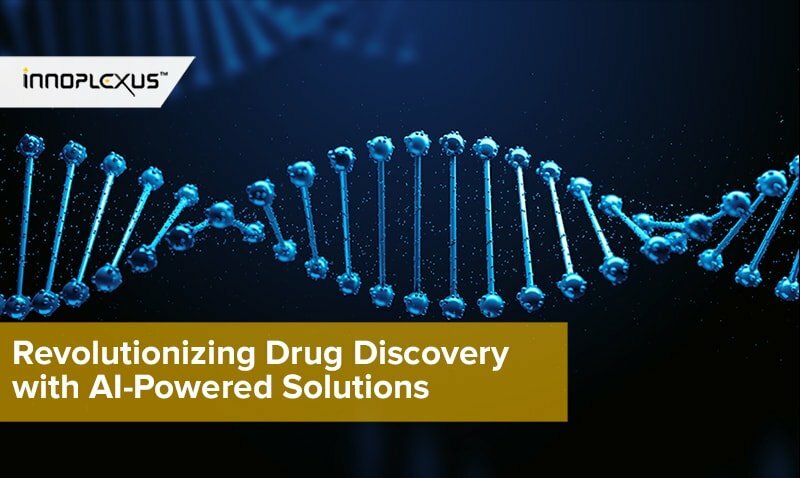 Our approach offered the chance to create a computational model that can deliver the fast and accurate insights and hypotheses that are vital if you want to break the paradigm of drug development processes that take decades to complete and cost billions to conduct. Building on that we created disease and tissue models at a cellular level – cell-centered models – that act as a blueprint for immune activity, and which allows the integration of new data in a way that can deliver not just directional insights but also causal understanding of the cell, cytokine and gene relationships. Leveraging public and proprietary data we apply a multi-pronged technological approach that: Enable the rebuilding of cellular composition from bulk tissue data; is capable of normalizing inter-personal cellular variation and mapping back to culprit genes; allows for integration across data types; that brings the context provided by the body of known evidence; and that keeps your model learning and growing with every new data set. Shai Shen-Orr points out how CytoReason differentiates themselves: “This is a young burgeoning industry overflowing with new companies appearing out of nowhere claiming to be a key driver of the AI revolution. There are many companies claiming to do what CytoReason does, and in a similar manner, but the reality on the ground is quite different. Our technologies, data and process are all unique and proven, but it is the three core principles upon which all our tech, data and process are built upon that really sets us apart. We deliver biology to biologists and avoid the black box – as the only company to focus on understanding the immune system at a system – or cellular – level, we replicate biological processes to answer biological questions, with validatable results based on a methodology and rationale that is transparent, understandable and applicable to the development process you need to impact. In this way you avoid the “black box” phenomena of data being poured into a mysterious algorithm and a requirement to take a leap of faith in the results. Shen-Orr continues: “Continuous Improvement – We developed a learning model that gets richer and more accurate with every new data set (including clinical trial data that is normally a closely guarded secret), from every new collaboration – but that does so in a manner that maintains confidentiality of data and the questions and resulting answers being asked of, and generated by, your model. In an industry which is still reeling from a much publicized patent lawsuit, you would think biotech would become ever more secretive to avoid grey areas. On the contrary, many of these AI startups are built on a collaborative research ethos. Shai Shen-Orr, Founder of Cytoreason: “We have built our business around the needs of our collaborators and around the need to discover and deliver valuable IP to our customers – not to compete with them. We believe this is one of the key reasons why CytoReason is already working with our core customer group – leading pharma and biotech companies and prestigious research. In the case of one collaborator, their need was to harness collection, integration and learning from the data generated from multiple independent sites, hundreds of clinical trials and millions of data points. More importantly, given their focus, they needed an ability to be able to squeeze maximum insight from small and often imperfect data sets. CytoReason showed how this can be done revealing important new mechanisms of action that can direct future research efforts. Personal experiences often fuel our life goals, and the ambitions of these scientists and startup entrepreneurs are no exception. Gunjan Bhardwaj, Founder and CEO of Innoplexus relates how a friend’s battle with cancer was a primary motivator for him: “The biggest difference (between healthcare startups and other tech startups) is the purpose – helping patients to get the best possible treatment. We already had several cases where friends, relatives and others came to us with a severe diagnosis and asked us for advice. Here you feel especially good if you can help patients directly with what you have created in recent years and with immediate feedback. Innoplexus is disrupting how data and analytics is produced and consumed. We are structuring the world’s unstructured information in an automated manner. To use the power of artificial intelligence, machines need the data to be structured. We always talk about digitization in healthcare. But there is so much knowledge that cannot be retrieved in real-time on a finger-tip if at all. With the help of proprietary, patent-pending artificial intelligence, blockchain and big data analysis applications, we have crawled, aggregated, analyzed and visualized all public available structured and unstructured Life Science Data. A second approach is to enable a secure access to unpublished data. For this we use Blockchain. This opens data silos and democratize intelligence. We build the world’s largest Research Graph. We extract entities and relationships from billions of web pages automatically enabling real time analytics in context throughout the drug development value chain. 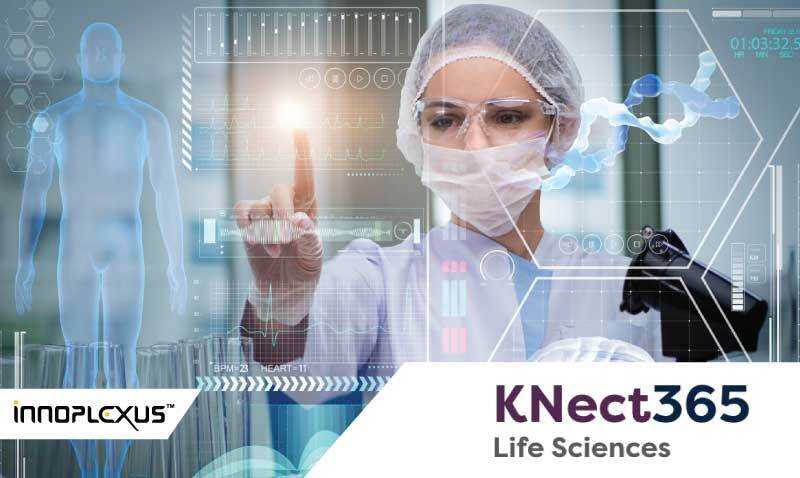 Our experts trained our AI in the specific language used in life sciences, covering more than 26 million concepts and semantic associations in order to give our customers relevant insights through intuitive, interactive visualization. Thus, our customers can access all relevant clinical and medical data in a logical context, being constantly updated and delivered to the workstations of customers. On top of our data ocean we build use-case driven applications and offer standard products as well as customized solutions. If a beloved family member or close friend becomes seriously ill, you want the best treatment and cure for them. This is how the idea of Innoplexus and its products came about. A few years ago, a good friend was diagnosed with cancer, and we were desperately looking for possible therapies. One finding was, that the internet provides a lot of knowledge – but the known search technologies were not sufficient enough to make it accessible. Consequently, we made it our task to develop new technologies and products. AI and blockchain are only valuable if they solve real problems – like those we see in healthcare. Democratizing data can trigger a new paradigm of AI driven innovation in Life Science. At the same time, it will make access to information more equitable for all stakeholders. Once data is accessible, stakeholders will focus their efforts on creating effective therapies for better healthcare outcomes. That would truly be the biggest contribution of these disruptive technologies to mankind. That’s what we are striving towards day by day. Simon Smith, Chief Growth Officer of Benchsi reflects on his company’s calling: “Healthcare offers unique opportunities and challenges…One of the biggest opportunities is to meaningfully improve people’s lives. Imagine coming to work every day, knowing that what you do has the potential to benefit millions of people (or more). That you can play a part in saving and extending lives, in treating and curing disease. It keeps us focused and engaged. Make sure you are ready for the AI disruption happening right now in clinical trials with our AI & Real World Evidence for Clinical Trials course taught by Dr. Chrysanthi Ainali happening this December in London! Dr. Ainali is a bioinformatician and consultant with expertise in the integration of AI technologies and techniques. She has a PhD in Machine Learning and Translational Medicine from King’s College London, where she focused on the development, validation, and application of Machine Learning algorithms to the integration of genomic data for biomarker identiﬁcation, disease subtype identiﬁcation, and patient stratiﬁcation. 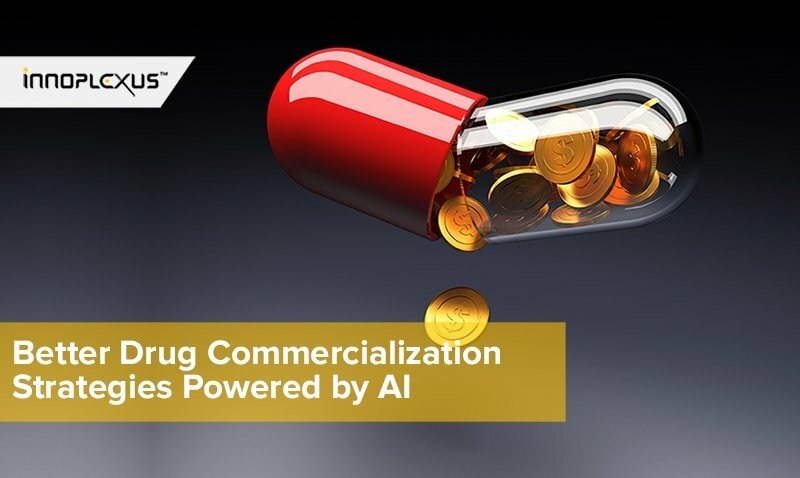 In 2017, Chrysanthi founded DiGNOSIS to provide professional consultancy and data science services for pharmaceutical companies, and to pioneer the application of AI to clinical trials. Prior to founding DiGNOSIS, Chrysanthi worked for Thermo Fisher Scientiﬁc, where she drove the bioinformatics component of designing and developing clinical genetic tests, as well as the customer rollout of bespoke bioinformatics workﬂows.